Synopsis: Classic movie fan Bailey “Mink” Rydell has spent months crushing on a witty film geek she only knows online as Alex. Two coasts separate the teens until Bailey moves in with her dad, who lives in the same California surfing town as her online crush. Well, shoot. This book is all of the feels. I absolutely adored this book and could not put it down. 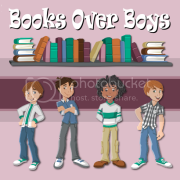 I have to thank Brooke, over at Brooke Reports, for giving me another favorite book boy. 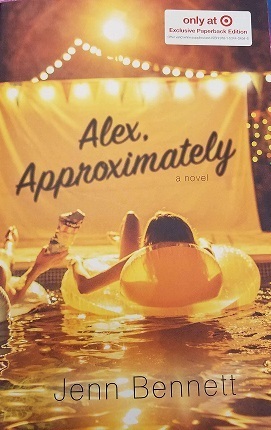 Alex, Approximately has every little detail you're looking in a young adult book. We start off with Mink, who doesn't have the best background when it comes to her relationship with her parents. Though, lets face it... what amazing story doesn't start with some sort of emotional baggage? However, Mink has a little secret of her own, she has someone she confides in, shares laughs and emotions with but the catch is, she doesn't actually know him in person. With the world the way it is today, online relationships are becoming more and more common, whether it's a friend or something more. What makes this so relatable is the constant struggle between real life and her world online. Honestly, I was absolutely enamored with Jenn Bennett's ability to tell an addicting and utterly cute story. I was loving every smile, secret, and every heart-warming moment. Fantastic story and I cannot wait to read more by her.